This section is dedicated to my audio design work. 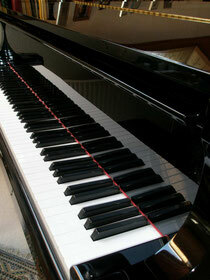 I've had training in classical and electric guitar and also play a little bit of piano. Many years ago, I got into digital recording and software instruments, originally to record stuff for my rock band. Mesmerized by the newfound possibilites, it soon became a passion of its own for me, and I experimented with new musical styles ranging from electro to classical music. Thus my audio background lies more with music, than with sound fx design. However, on my last three projects, I've had great opportunities to improve my sound effect design skills and have found it very rewarding to bring characters, environments, objects to life by giving them the right sound.